Are you looking at being married in the summer or planning a beach ceremony. May take into consideration the weight of your gown. It will be hot. So lightweight summer wedding dresses might be the better choice. Flora is just that. With a soft flowing chiffon skirt, 3D lace bodice and plunging back line. 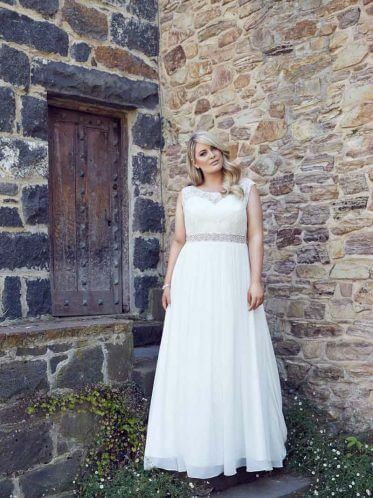 A simple flowing A-line bridal dress that is timeless and elegant? What’s not to love. Just imagine you and your groom on the beach with the sand and sunshine. Or maybe a garden ceremony. Floras shoestring straps compliment the low back. Features of our Flora design. Wedding accessories for this summer gown style. We have matched Hello Lovers Australia’s little chandelier earrings or our Hollywood earrings as April is wearing in our photo shoot. Plus our ivory chapel length single layer veil. Also, we have added this teardrop pendant necklace. 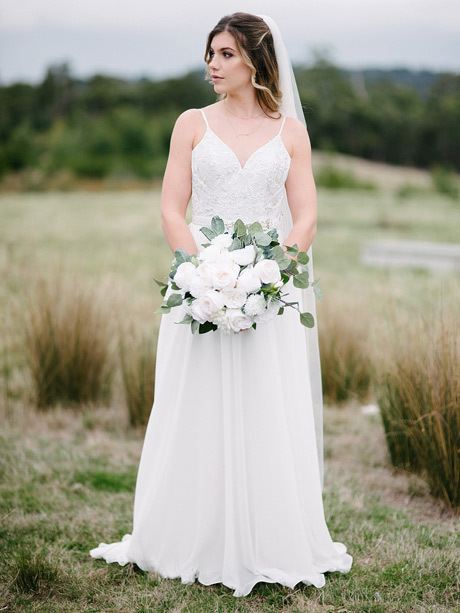 Keep your accessories simple with this boho inspired bridal gown. 3D lace detail on the Flora gown adds an air of romanticism. Worried about alterations? Don’t be we have Ginger pins on location alteration service that will be able to shorten your hem line for you and bustle the train. A bridal shop like no other. 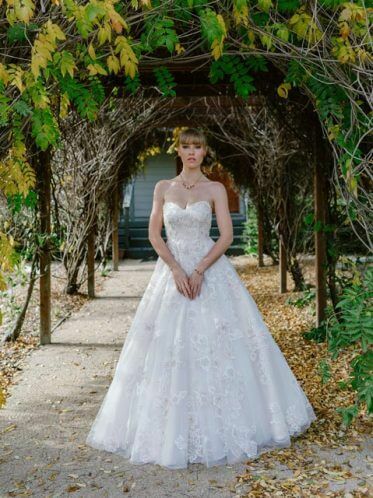 Flora is just one of many styles of affordable wedding dresses available at Leah S Designs Melbourne bridal shop. A bridal paradise like no other put together your entire look in one place. A range of beautiful bridal shoes and wedding jewellery. Not forgetting veils of all lengths and colours and if we don’t have the bridal veil you want we can make it for you. Long gown petticoats all sizes and all the bridal accessories a bride could need for her special day. We have added our Daisy belt.